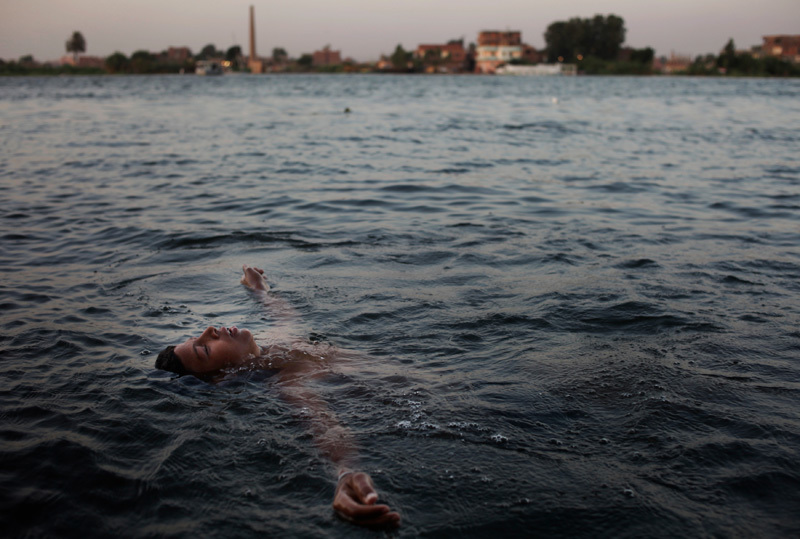 A boy floats on his back in the Nile in Cairo, Egypt July 5, 2011. After the revolution, the country faces an economic crisis that could destabilize the nation. Tourism, a large source of income for the country has dropped by more than sixty percent from the previous year.